The incidence of skin cancer has risen rapidly in recent decades, and patients often present initially to practitioners in many different specialties. Because skin cancer can vary in clinical appearance, even dermatologists may experience difficulty in reaching a clinical diagnosis. For primary care physicians and physician extenders (physician assistants, nurses, and nurse practitioners), who have had very little or no formal training in dermatology, the task can be still more daunting. In this atlas, the authors set out to provide a practical resource that will help improve the 'visual vocabulary' of physicians and physician extenders, helping them identify lesions that should be biopsied. Hundreds of high-quality color images are included to assist the reader in the task of recognition and identification. All of the common cutaneous malignancies are illustrated, with a number of examples of each entity and of common mimickers. In addition, biopsy techniques and treatment options are presented in step-by step detail with the use of high resolution clinical images, and potential complications of treatment are discussed. 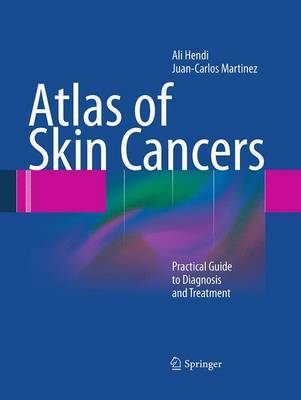 This atlas is ideal for all providers who wish to sharpen their clinical acumen and gain confidence in identifying skin cancers.